One of my most distinct early memories of school was walking in the building first thing of a morning and smelling freshly baked bread. My mother never baked bread. We bought Mrs. Baird’s Bread which probably smelled really good when Mrs. Baird took it out of the oven. Then she handed it over to guys who wrapped it up, put it on a truck and placed it on grocery store shelves. By the time the loaf made it to our house the smell was gone, and the taste wasn’t that good either. Smelling freshly baked bread was a new experience for me, just like going to school and learning to read. Isn’t it nice to relate education to something so delicious? Then there was the smell of mimeographed paper. This was the 1950s, and only people with really good imaginations could conceive of copiers and personal printers. Teachers had to cut a stencil of whatever they wanted to put on the paper, a test or drawings for us to color. The stencil was attached to a drum which then turned across ink and then the paper. Needless to say it was a tedious process and teachers weren’t given bonus points for doing it. Of course, it was the ink with the distinctive odor. It wasn’t exactly a sweet smell but definitely addictive, like sniffing glue or paint. However, the unintentional high was ruined by the half dozen or so girls in class who completely overreacted by pushing the mimeographed paper up to their noses and going, “Mmmm…” It’s like when someone moans when biting into a piece of chocolate. Kinda ruins it for the rest of us. Speaking of something revolting, no one can forget junior high gym class. Nothing is worse than the smell of teen-aged boys’ sweat on the basketball court or in the locker room. I could not wait to get out of there. Who could concentrate on push-ups, sit-ups, volleyball or dodgeball with that awful odor permeating your nostrils? Forget about becoming a professional athlete. If teen-aged boys smelled that bad can you imagine the stench of a room full of grown men after a football game? In high school I became aware of perfume and cologne. Some of the girls smelled just like cotton candy. Then I observed the reaction of girls to English Leather cologne on boys. Remember the girls who swooned over the smell of mimeographed paper? Well, when they became teen-agers they had the same reaction to English Leather. They would look inside a classroom and wriggle their noses. The smell that cinched what I was going to study in college was a teletype machine. Maybe this went back to mimeographed paper. The distinct odor of the ribbon and the lubricant oil that kept the rat-tat-tatting keys going. I had to work for newspapers. Perhaps it’s just a coincidence, but at the same time I left the newspapers they gave up on the teletype machine and started using the dreaded antiseptic computer. This comparison of learning and smells may be more profound than I originally thought. There are good smells and bad smells in life. Some of it just stinks. But we have to put up with it so we can smell the freshly baked bread. 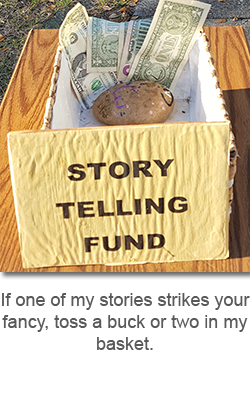 This entry was posted in Opinion and tagged opinion, storytelling on August 16, 2018 by jerrycowling. Such a wonderful story. I too remember the exciting aroma of the mimeograph paper. Wish my school had fresh baked bread. That must have been wonderful. I agree, it was advantageous that you left the newspaper biz if they wouldn’t have an enticing smell.